There is an increasing number of Reproduction, Repro, Reprint, or just plain FAKE Porsche 356 Factory Sales Brochures and other Technical Manuals circulating in the market place! It's not a bad thing necessarily, but when it's not labled as such, it is a plain and simple ripoff! 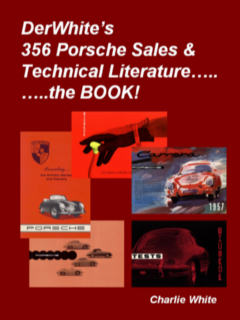 A recent auction listing on the Ebay Auction Site prompted me to put together this website to warn 356 Porsche literature collectors, and those just acquiring a brochure for their car, of known literature "FAKES". In this particular instance on Ebay, the person who posted the item didn't know it was a reproduction, and withdrew the item. 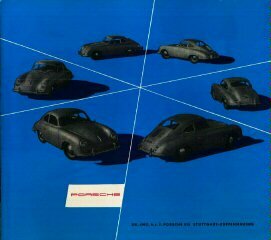 Over the years, there have been a number of 356 Porsche sales brochures that have been reproduced. 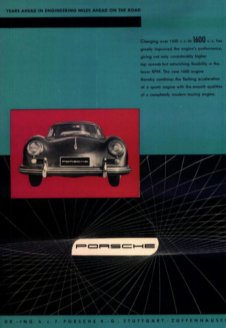 In addition, a recent effort resulted in the reproduction of a significant number of 356 sales brochures, some originals of which are quite rare. The purpose of this website is to identify those brochures that have been reproduced, and to point out how to tell a FAKE from an original. They are NOT of high quality. pay big bucks for a FAKE! The above five brochures, M&M 11, M&M 56, M&M 81, M&M 96, & M&M 306 are the latest brochures to be reproduced and offered on Ebay. In both of these cases, the FAKES are nothing more than "color copies" probably made up on a common color copy machine. They are of very poor quality and even show the fold marks, and they are not marked as reproductions. One sale of the Pre-A brochure M&M 11 brought an amazing price of $156.00US. The buyer probably thought it was an original. On the Ebay listing, the seller called them "reprints". In fact, they are FAKES! Obviously, the easy ones were reproduced first, and these were generally the simple black and white folders. The following are examples of such black and white folders that were reproduced. This single sheet (made into a folder), black and white Speedster item is a scan of an actual FAKE! Notice the lower left hand corner of the scan, you will see the words: "AUTOMOBILE LITERATURE INTERNATIONAL RPI 2032-7/88". This is an excellent reproduction, but most importantly, the makers MARKED the item and weren't trying to deceive. What is also important is that both sellers and buyers know the difference, and not knowingly try to sell a FAKE, or unwittingly buy a FAKE. Another FAKE version of this brochure is not marked. The best well to identify this version is that the white background will be "very white" and the images will be slightly "washed out", and lacking definitation and detail. (M&M 73). This is another early single sheet (made into a folder), black and white, with racing results for 1952. This item is also a scan of a FAKE. The ways to tell are: (1) white background is "ultra" white", originals yellow slightly with age. (2) the black background is washed out and is not uniformly black. (3) The images are "fuzzy and grainey" and lacking in detail. (4) Often the paper is cut "off angle" to the vertical and horizontal of the type and the images. (M&M 20). This "Crest" brochure is also easy to reproduce. The background is gray and most of the rest of the printing and images are black. As such, the yellowing common with age to brochures with white backgrounds is tougher to see. (M&M 79). Back Cover/Front Cover/Inside Left/Inside Right. This is another black and white single sheet (made into a folder) which is easy to reproduce, and has been reproduced. The best way to tell an original from a FAKE is the yellowing of the white background in the original due to age, and the fuzzyness of the photos in the FAKE. (M&M 100). 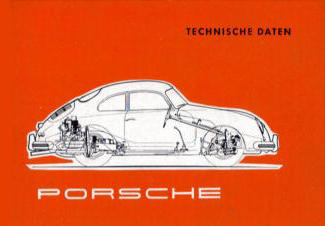 The above brochure is one of the earliest 356 Pre-A sales brochures published by Porsche. Recently this brochure was purchased from a seller in Germany. A close inspection of the brochure revealed it to be a FAKE! Fortunately, it is marked at the bottom center of the back cover. In small print it says: "Faksimile 1988 . Archiv Verlag . Braunschweig". 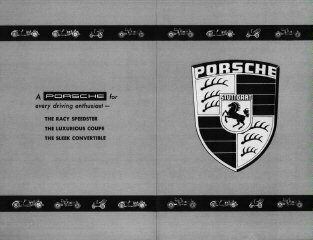 This reproduction of a very early 356 Porsche brochure is very well done, and it is likely to fool a buyer not familiar with the originals. An original in mint condition can bring up to $400.00 or more. If you're offered one of these brochures or are bidding on one on Ebay or some other internet auction service, watch out! (M&M 15). This is the brochure that was offered on Ebay by a seller who later withdrew the item from auction when informed it was a reproduction. The item had been bid up to the $300.00+ range and was going higher. The seller, who was not a collector, had obtained the brochure with a group of other original items, and didn't know it was a reproduction. When informed, he did the right thing, and graciously withdrew the item. 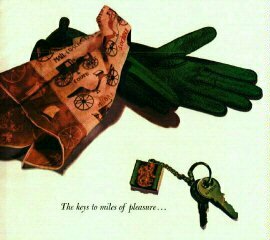 There are two ways to tell if this item is a reproduction (and the scan is of the reproduction): (1) on the lower left corner of the back cover, it says: "Automobile Literature International RPI 2026-1988". (2) the reproduction is noticably smaller than the original, measuring 8 3/8 x 9 3/8 inches vs. 9 1/8 x 9 1/2 inches for the original. The original of this brochure is quite difficult to find and would bring a good price, as indicated by the preliminary bids on Ebay. The brochure has 24 pages, most of which are in color. The FAKE is a beautiful reproduction and was expensive to reproduce due to the number pages and the fact that it is mostly color. (M&M 23). This blue "Circle of Coupes" brochure is a 3-color double folder, which opens to a size of 19 x 17 inches. It is also a FAKE. In the lower right corner of one of the inside pages is the notation" "Automobile Literature International RPI 2034". Another excellent reproduction, and marked as such, but don't pay the higher price of an original for this very nice FAKE of an early 356 Pre-A brochure! (M&M 65). This small color folder has recently been appearing quite frequently on Ebay, advertised as being in excellent condition. 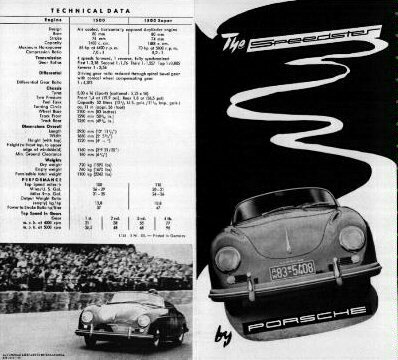 The brochure is for early 356-A's and shows an outline of a spyder in white on a black background on the back page. The quality of the reproduction appears to be excellent. An email to the seller resulted in a reply that the brochure "might be a repro"! You decide, and pay accordingly. Lower right corner of the back page (enlarged)! 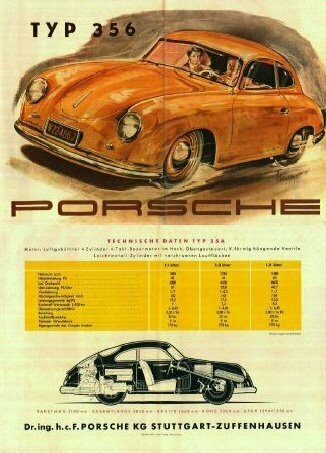 Above are two different versions of an early 356-B T-5 factory sales brochure. The top version is the earlier version published in September 1959. 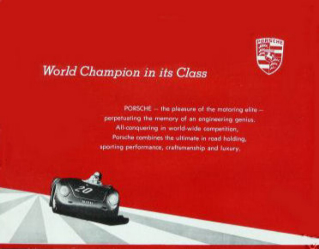 From the licence plate, you can see that this brochure was intended for the 1960 model year. The second version was published in February 1960, also for the 1960 model year. Why there are two versions is not clear. Perhaps better artwork was available for the second version. A FAKE has been published of the top version. You can easily tell the FAKE from an original. The following words appear at the bottom right of the inside page: "Faksimile 1990. Archiv Verlag . Braunschweig". This FAKE is very well done and has the potential of being a real heartbreaker, so watch what you're buying or bidding on. (M&M 163). 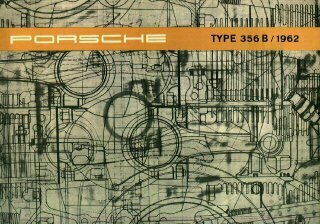 This "Diagrams" brochure for the 1962 356-B T-6 is another in the series of FAKES which is marked "Automobile Literature International RPI 2030". It is a 16 page brochure, and is well done except that the black and white of the cover is "washed out" and the gold band across the top is considerably lighter than on an original brochure. 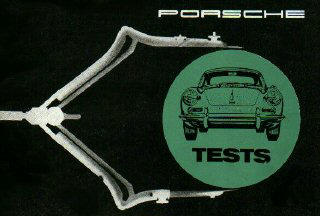 This 8 1/4 x 5 1/2 inch (original version) "Tests" brochure was published in October 1962, and includes verbatum text of write-ups from various auto publications about the "new" 356-B T-6. This FAKE is an excellent copy. There is another "original" version, published in August 1962, with an orange circle on the cover rather than green circle. (M&M N/A). This is a FAKE version of a 356-B T-6 brochure which has an original printing date of January 1963. It is the English version, and the familiar mark is on the lower left corner of the back cover: "Automobile Literature International RPI 2031". This is not a common brochure, so an original should bring a good price. Just be sure you're buying an original, and not a FAKE............! (M&M 239). 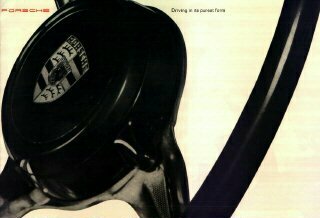 The FAKE Porsche 917 Brochure. 1. The metal staples that hold the pages together are in a different place compared to the originals. I have two originals that I have had for over twenty years. 2. The ends of the staples are curled, rather than flat as in the originals. 3. The black and white pictures have less contrast and a generally washed out appearance, as in the above example, compared to the originals. 4. Lastly, the white areas of the brochure are REALLY WHITE, unlike the originals which are slightly yellowed by age. So watch out, don't pay big money for this overwise excellent FAKE. With Porsche sales literature prices going through the ceiling, it's no wonder more FAKES are turning up. If you're paying more than $50 for a brochure, be careful! That's all for now. More material coming soon! 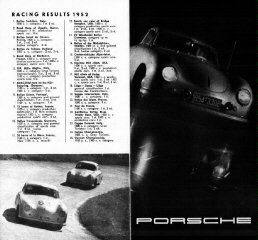 Check back to see the changes......and be careful out there.........when you're buying 356 Porsche sales literature! Watch out for FAKES and unmarked REPRODUCTIONS! This website was updated on 1/9/14 and will be continuously updated with new material in the future.